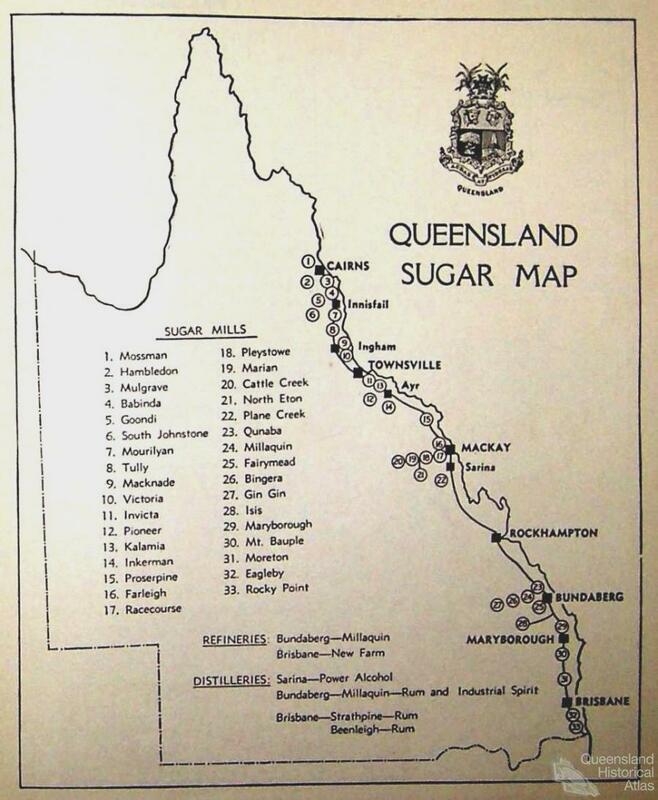 Queensland sugarcane fields were riven with ethnic divisions between Anglo-Celts and migrants with non-English speaking backgrounds from southern Europe. 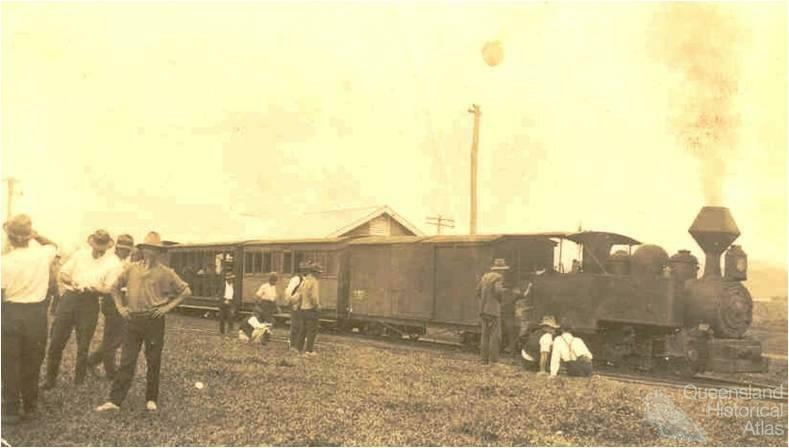 The towns, ports and railways associated with the cane fields were profoundly influenced by the social and political networks of the migrants who traversed the north’s harsh physical environment. These fractures in the region’s radical egalitarianism became anchored in the local landscape, determining relationships to public space and engagement in cultural landscapes. 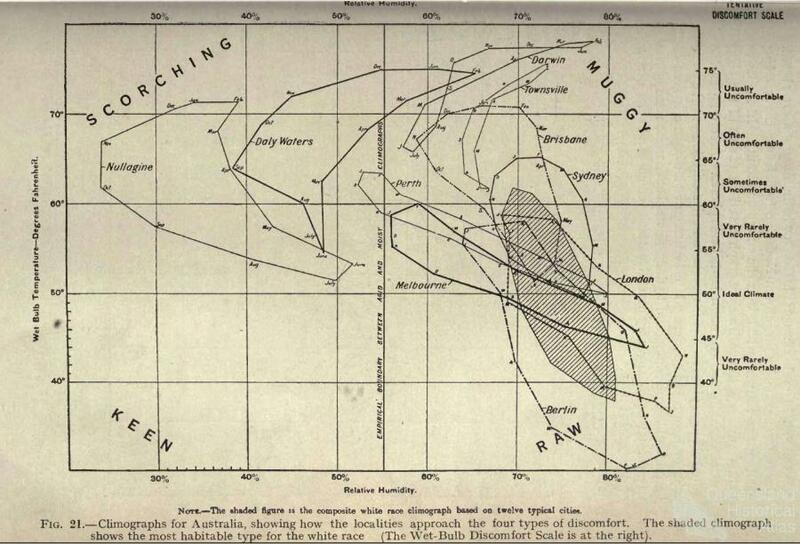 From 1901, it was believed that the north’s undeveloped rainforests and plains would be central to Australia’s future viability as an emerging nation. 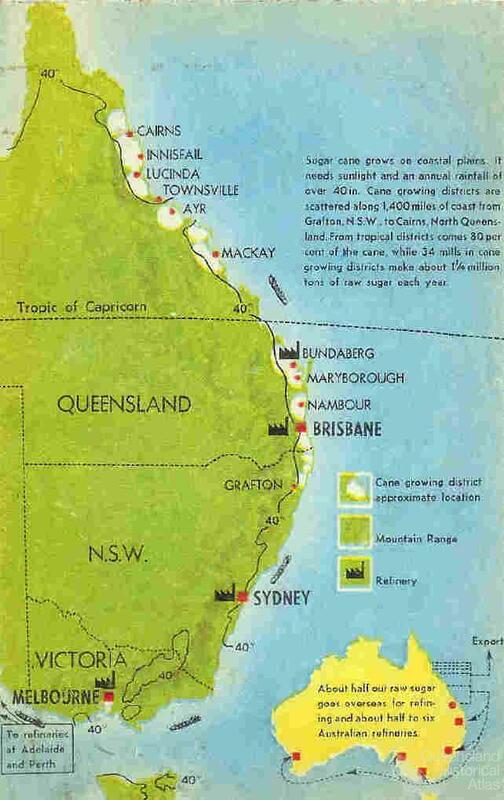 Accessible only by ship from Brisbane, the fertile region promised great opportunity to secure the white egalitarian society that many feared was under global threat. Not only was the establishment of farms by white settlers considered to be morally appealing, but it promised to secure Australia’s thinly populated northern border from imagined threats of expansionist ‘yellow hordes’ to the country’s north. In fact, few northern Europeans settled permanently in the north. Instead, the region came to be characterised by an unusually ethnically diverse population. The rapid expansion of land cultivated to produce cane had been predicated on forced labour from the Pacific Islands, while many business owners in the region originated from East Asia or the Eastern Mediterranean. This ethnic mix in a strategically vulnerable area was widely imagined to pose a security risk to the whole of Australia. The White Australia Policy, adopted as a cornerstone of Federation in 1901, thenceforth restricted the entry of non-white migrants to Australian ports and pressured existing residents to leave. 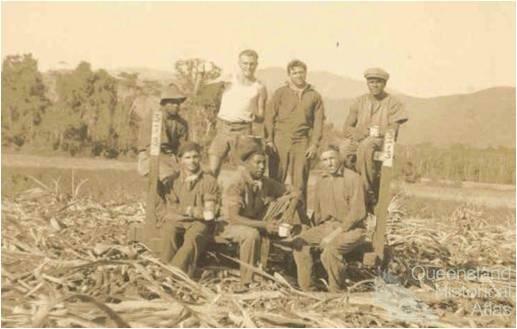 The policy brought ethnic difference in the workplace to the fore, marginalising the reality of continuing multicultural interactions in the cane fields. 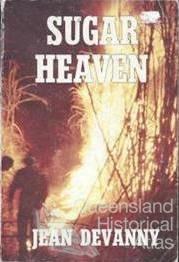 Many white settlers resented the harsh work conditions in Queensland’s humid cane fields. The men were obliged to work long hours before sleeping in poorly constructed communal barracks that were isolated from towns. Their life in the cane fields was worsened by the perceived sleight to their status as white men and aspiring property owners. The need to labour long hours in the unforgiving environment was deemed particularly difficult and demeaning for them, and it was argued darker-skinned southern European migrants were better suited to the work. The tension associated with these conditions precipitated the region’s first major strikes in 1909 and 1911. Anglo-Celtic workers protested that the influential Master and Servants Act implied farmers could treat them no differently to indentured Pacific labourers. The cane fields became sites of industrial dispute as mill owners, farmers and the cane cutters contested the competing needs of an emerging capitalism with their status as white British subjects. Importantly, however, it was non-English speaking background migrants who became the target of many strikers’ ire. Pale-skinned northern Europeans attacked and intimidated southern Europeans, creating a pattern of behaviour that derived from the close association between land development, morality and national security. The first strikes had occurred one year after the Australian Workers’ Union established its presence in the north. Trade union organisers rapidly became central to the northern industrial landscape, since possession of a union ‘ticket’ was a pre-requisite to work as a canecutter. The important ‘sign-ons’ for cane cutting gangs in towns such as Tully or Innisfail were an opportunity for union organisers to impose their influence in the local landscape. Yet, their authority primarily benefited those workers who were perceived to be white northern Europeans. Southern European workers were systematically excluded from leadership positions in trade unions, despite many having served in unions and syndicates in France, Italy or Spain. Many of those who felt themselves to be marginalised in the northern workplaces felt drawn to anarcho-syndicalism (common throughout much of Europe at the time). 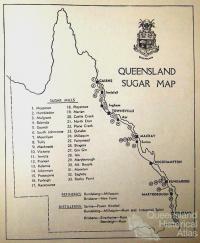 Groups, such as the ‘One Big Union’ or ‘International Workers of the World’, established an unusually strong and enduring presence in Queensland’s north. Northern ports, such as Mourilyan, gradually developed radical workers’ libraries, where migrants could educate themselves in the tradition of autodidactism. Non-English speaking background migrants, who worked on the railways, acted as organisers in order to distribute radical literature throughout the state. Within the northern townships and cane fields, trade union officials found themselves liable to be harangued in public, as workers contested the established control of industrial spaces. Ethnic and political divisions extended into the workers’ private and social spaces. The cane cutters’ barracks may have been places in which men relaxed and slept, but they remained firmly embedded in the industrial landscapes of the cane fields. The many barracks that dotted the landscape form only the most obvious example of the blurring between workplace and private space. Every weekend, hundreds of cane cutters flooded towns such as Innisfail and Tully to relax and share stories. This sense of solidarity belied the continued ethnic and political divisions in the towns. Each ethnic group sought boarding houses and clubs run by those from their home regions, in order to receive correspondence and to discuss issues in the light of experiences garnered prior to emigration. The cultural landscape that blurred industrial and private spaces necessarily had implications for the expression of gender. While the population in the north was predominantly male, women played important roles in radical political and industrial groups. Non-English speaking background women were regularly at the centre of strikes, such as the large-scale Weil’s Disease strike in 1934, when their influence in the domestic economy proved crucial. Other women ran prominent businesses in towns to support families in the off-season. Their many boarding houses further demonstrated migrant women’s capacity to influence the contestation of the industrial landscape, as they welcomed workers, distributed information, and consolidated organisations. The interwar period witnessed important changes in how the cane fields’ inhabitants related to other regions of the world. The Russian Revolution (1917) precipitated the gradual erosion of anarchist influence in the north, although syndicalism’s decline in Queensland was markedly slower than elsewhere in Australia. As the effects of the Economic Depression became more pronounced in the north, the appeal of Marxian alternatives remained strong. This shift in radical emphasis towards communism reinforced the close relationship between industrial locales, political views and ethnic heritage. The Communist Party of Australia possessed a pervasive presence in the cane fields of the north. Its relative obscurity was only partly contrived, since the party’s strength derived from it being embedded in the social fabric of the townships. Communist individuals were active in various sports clubs and civic associations, where their political views were seen to complement their commitment to local development. 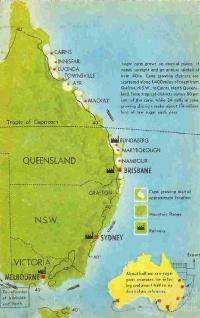 In reality, the Party bound the region’s industrial landscape with locales in Australia’s south. 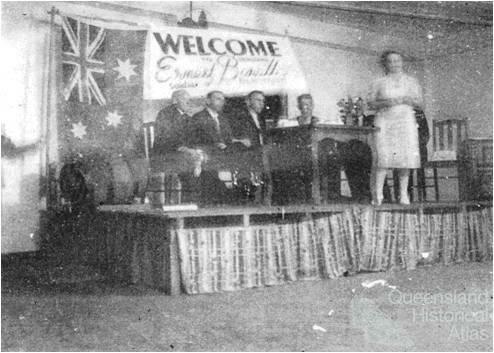 Communist organisers from Sydney flew to Queensland’s north on multiple occasions, where they sought to consolidate the party’s influence in the region’s industrial organisation. Such visitors included the prominent author Jean Devanny. Her semi-fictitious work Sugar heaven eulogised the north’s radical potential, describing how ‘[o]n the stations, trains bore emissaries through. In the barracks among the cane, arguments waxed and waned; misconceptions were exploded and solidarity cemented’. 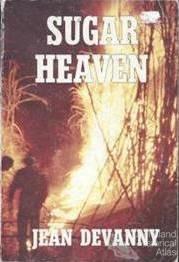 Devanny’s novel also recognises the importance of the cane fields’ pervasive ethnic divisions to the growth of communism in the state’s north. Trade unionism’s narratives of loyalty to the British Empire contrasted sharply with the cosmopolitan ideals of Marxism. These divisions were reflected in responses to the increasing corporatisation of northern cane mills. While some locals pointed to how accelerating economic development aided national security, both radicals and unionists complained at the concomitant erosion of utopian ideals. Protests were often violent, and non-English speaking background migrants were frequently the focus of attacks throughout the north. Tension in the industrial landscape of the north was increasingly framed through reference to global events. The growing appeal of fascism in many countries in Europe and the Americas was watched with close interest in northern Australia. The general dislike of right-wing alternatives did not result in a shift towards multicultural unity that might have united radical left-wing groups. Instead, narratives of racism overlaid longstanding industrial and political division. Italian migrants, many of whom worked in the fields and had developed successful farms over many decades, found themselves accused of fascism and criminal activity. Anglo-Celtic workers proved susceptible to rumours that the Italian mafia (locally known as the ‘Black Hand’) was actively involved in undermining their control of precious land resources. The rise of radical right-wing regimes in Europe was particularly distressing for European migrants. Although many had lived in the north for many years, their memories and families continued to incorporate European localities. Italian migrants became polarised as representatives of Benito Mussolini’s government toured local communities. Protests ensued, as locals from diverse national backgrounds took to the streets to oppose Mussolini’s regime. Similar anger was manifested following the Nationalist coup that prompted the Spanish Civil War (1936-39). While many communists and non-English speaking backgroud migrants strongly opposed Francisco Franco’s Nationalist forces, large numbers of Anglo-Celtic Catholics supported the Nationalist rebels. Such ethical issues proved hugely disruptive to industrial space, as culpability for events in Europe were projected onto local protagonists. These divisions became entrenched in the industrial landscape during World War II (1939-45). While radicals were largely united in their support of Australia’s military action, ethnic divisions remained. Male migrants with German or Italian heritage were at risk of incarceration by the Australian Government, forcing remaining family members to enter the rural workforce in order to generate income. Such wartime unity was to prove ephemeral, as a dramatic wave of communist-inspired strikes swept the state’s ports in the aftermath of World War II. Within the north, the communist radicals became increasingly associated with disruption and oppression (rather than social reform and development). This shift was in part due to the changing political environment of Cold War Australia, in which radicalism was associated with disloyalty and criminality. Ethnic divisions in Queensland’s north were simultaneously recalibrated, as pressure intensified for non-English speaking background migrants to assimilate and conform to Anglo-Celtic expectations of social and political normalcy. Despite these changes, radical solidarity in the north remained framed by ethnic divisions whose legacies remain imbued in the contemporary cultural landscape.